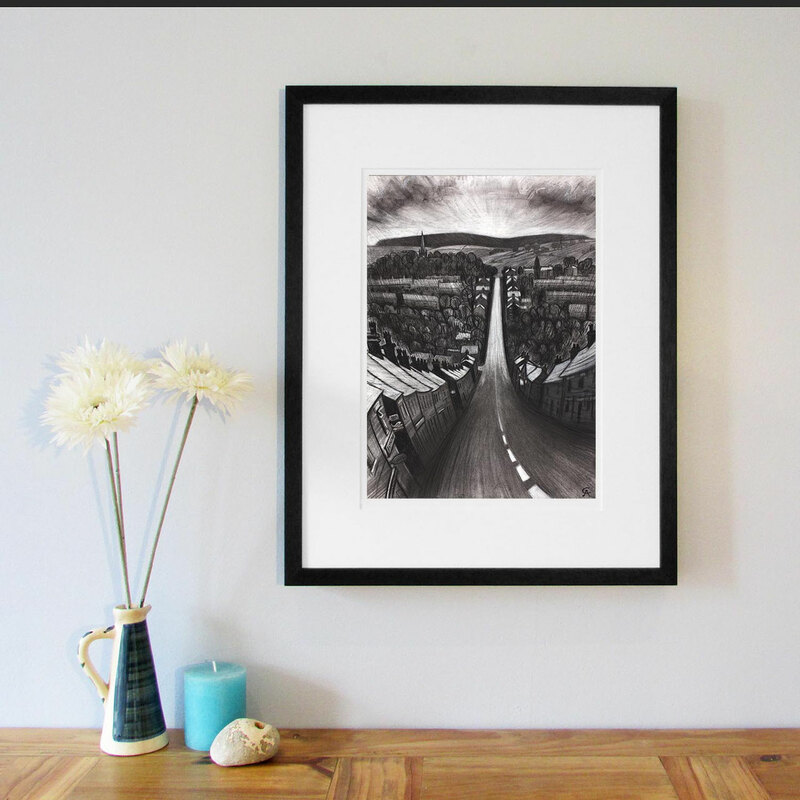 Charcoal drawing of New Mills, Derbyshire looking down Albion Road towards St George’s church and Kinder Scout. This picture represents the feeling of returning to my home town after being away. 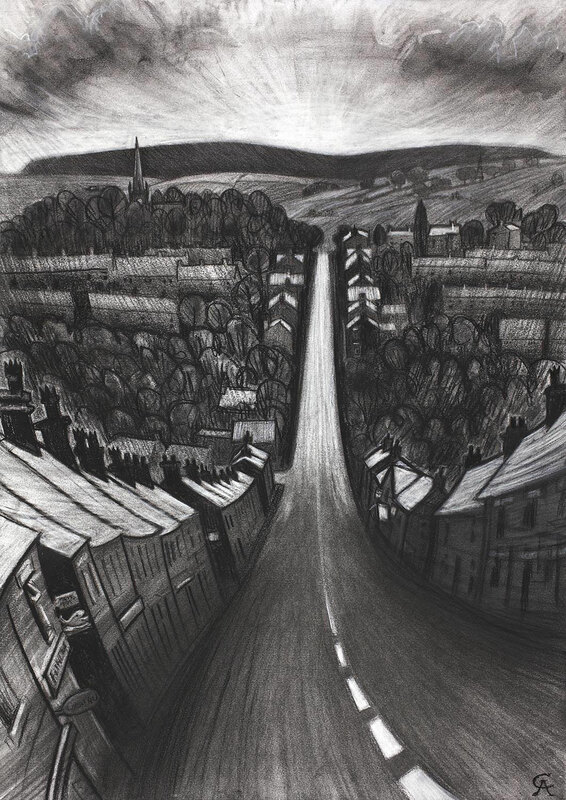 This drawing is the opposite view to ‘Swizzels hill’, and I was lucky enough to do some preliminary sketches for this piece from inside the Swizzels Matlow factory, which gives it a sense of elevation.